Using our online designer for creating custom basketball jerseys is easy at Jerusalem Fields. When there is a button jerseys, sometime we make the design in two parts. We split the design in two and place one on the left and one the right. Usually this is not a big deal. If your looking something quick and fast try a jersey with a full front. 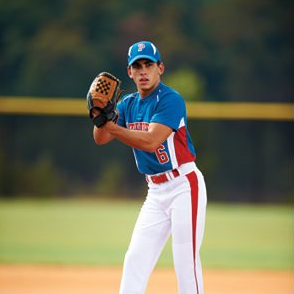 Like the RBI jersey or similar. If you use our designer it defaults to screen printing, so this will give you the best price also. If you have any questions about designs fill free to contact us. 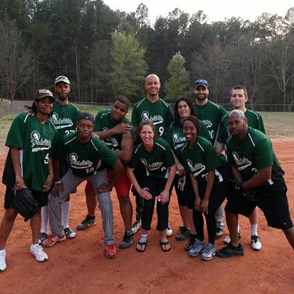 Softball and Baseball Jerseys are awesome for team building. I wish I was better at softball, unfortunately I am terrible at it! The above picture is a sample of combination printing we did for the Ewing softball team from Raleigh, NC. They used this jersey when they travel to Atlanta, GA. 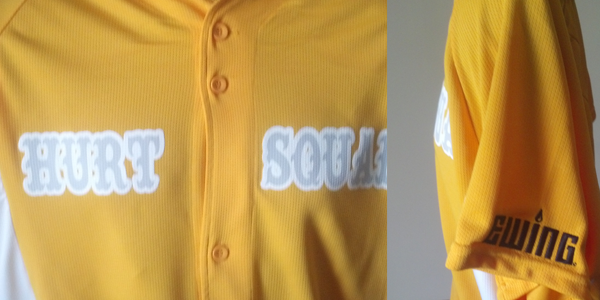 The "Hurt Squad" was a 2 color screen print job using the colors white and gray. The sleeves where embroidered with the company's name on it. 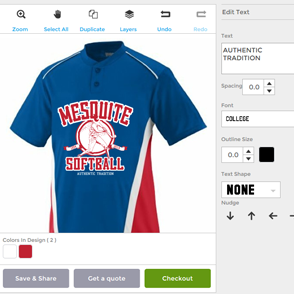 The only time we used sublimation for softball jerseys, is if it a white jerseys or at at least a white front. 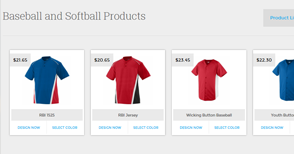 If you don't see the Softball and Baseball Jersey you like in our website. Feel free to check Augusta Sportswear. We are a authorized dealer, which mean we get there products wholesale. Which saves you money. Subscribe for our blog for weekly words of wisdom. With either bible verses or a observation about Gods word. Also in this blog are upcoming events in the US.